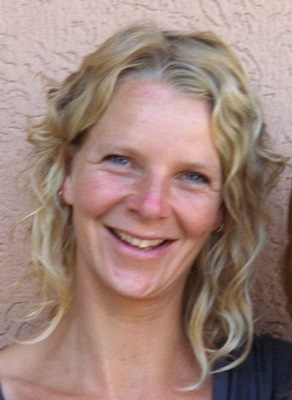 My name is Eva Drager and I’m the face behind ‘mindful living Kenya’. For the past 19 years, mindfulness has had a central part in my life. I got introduced to mindfulness in 1998 when I travelled to Thailand for the first time and stayed in a Buddhist monastery to practice Vipassana (insight) meditation. I stayed in this beautiful monastery for six weeks and meditated at least 12 hours a day, just watching my thoughts, feelings and emotions passing by and by doing so, slowly started to get more and more insight in my own mental and emotional processes and life processes in general. These six weeks had a great impact on my life. The most important lesson that I took home with me was how to deal with the depressions that I had been suffering from since 1992. Back in Holland I decided to write my Master Thesis in Medical Anthropology about exactly this subject: how mindfulness and meditation can help people deal with their depression. This was the start of my work as mindfulness coach and trainer. I went back to Thailand many times, to meditate, to travel, to work and to enjoy the most amazing massages in the world: the traditional Thai yoga massage! After receiving more than hundred massages I decided I wanted to learn this beautiful healing art myself. The Thai yoga massage had brought me so much physical and mental wellbeing and I was looking forward to be able to have other people experience the same. I got my training at the ITM in Chiang Mai, and have had my own Thai yoga massage practice since 2003. First in Amsterdam, later Addis Abeba and since early 2013 in Nairobi. Since January 2013 I have been living in Nairobi with my husband and three children and continued my mindfulness practice, Thai yoga massage therapy and passion coaching work in this beautiful country! I have a Master degree in medical and religious anthropology and in education and awareness raising. I had additional training in (passion) coaching, Mindfulness Based Cognitive Therapy, stress counseling, Thai yoga massage and acupressure. In my work as a trainer and therapist I use all my skills to give you the best possible treatment!